Weekly sessions focus on proper skating technique, power and speed. 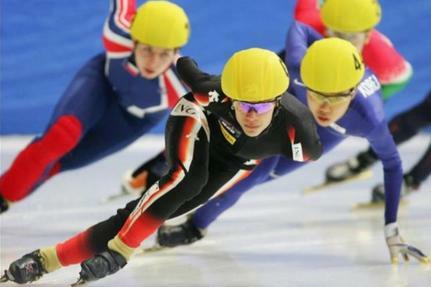 Speedskating is also an excellent cross-training activity for many sports, including figure and hockey skating, running, cycling, etc. Equipment Requirements: Speed Skates (hockey/figure skates ok for beginners), helmet, gloves (leather or cut resistant), neck guard (hockey neck guard is fine), long sleeved shirt/jacket, long pants (tights/ sweatpants). Knee and elbow pads are strongly recommended. Safety and Insurance: We are OBSESSED with safety. No one is allowed on the ice without the proper equipment. All skaters must join US Speedskating Trial Membership ($10) and our regional association-MASA (Free for the first year) before stepping on the ice. This is for insurance purposes.